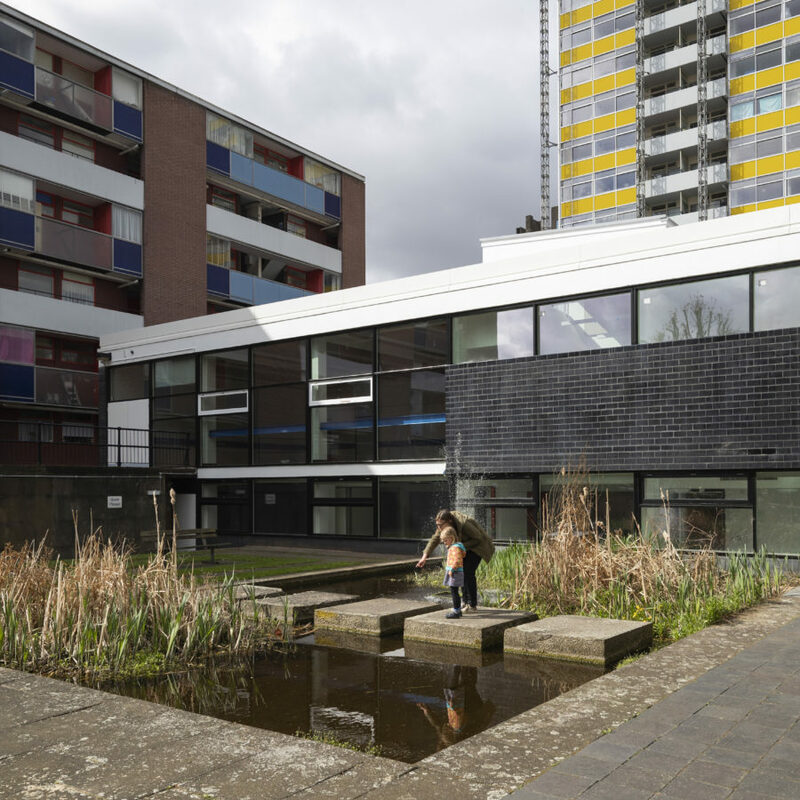 The Grade II listed Golden Lane Community Centre is located at the heart of the eponymous Golden Lane estate in central London. The original 1950s design consisted of a theatre and banqueting hall at ground level, and a library, games room and club room at lower ground level. Over the years, the building has been compromised by unsympathetic accretions and become outdated in functionality. 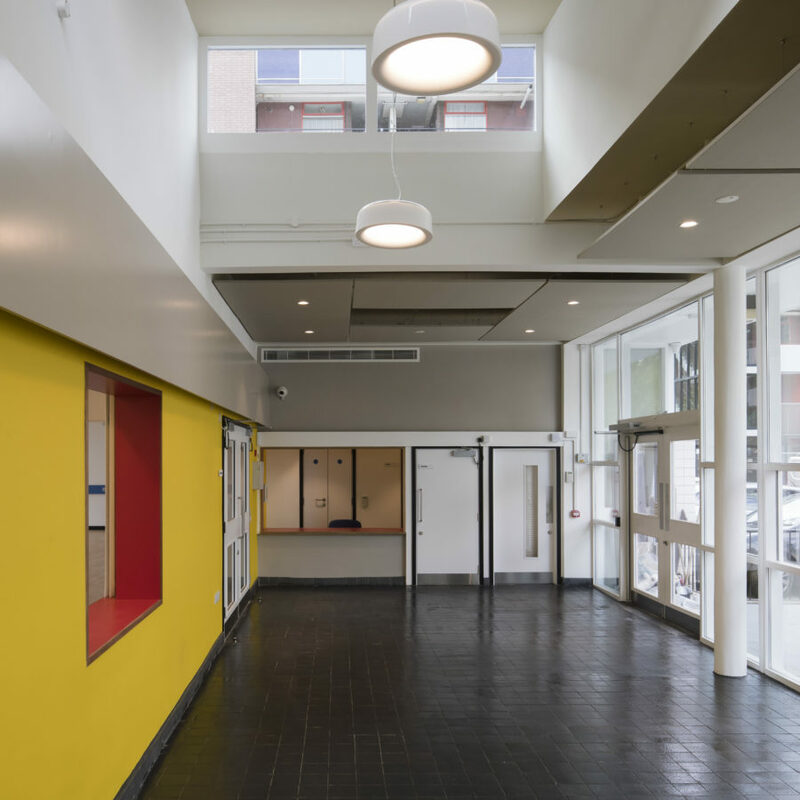 Studio Partington were commissioned by the City of London Corporation to give this cherished community facility a new lease of life. 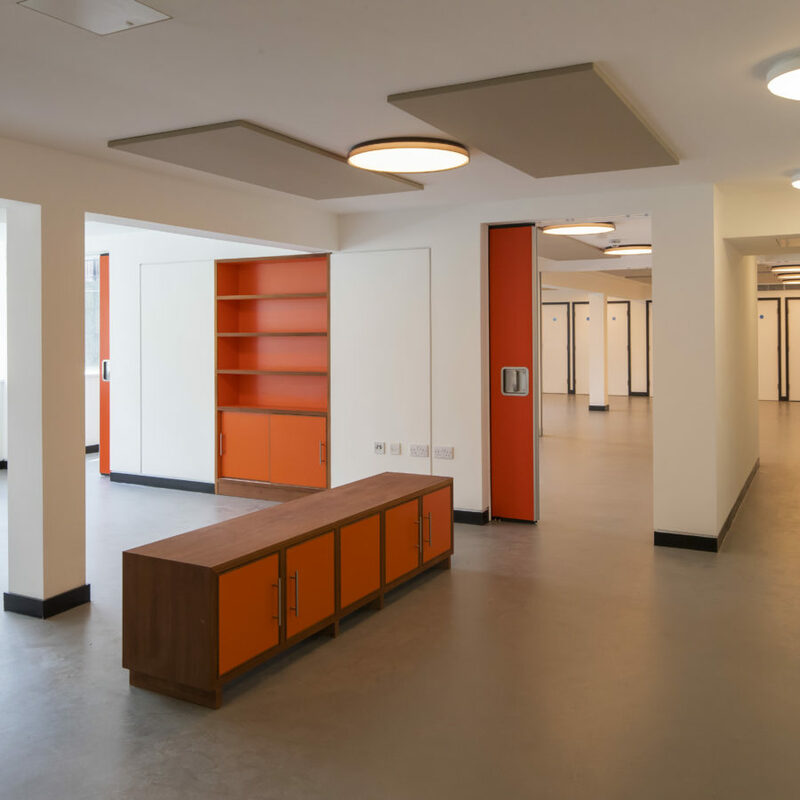 The approach to the refurbishment was characterised by four key principles: 1) to create fully inclusive, flexible space, 2) to rejuvenate the original design, 3) to improve the building’s existing fabric, and 4) to provide a sustainable legacy. 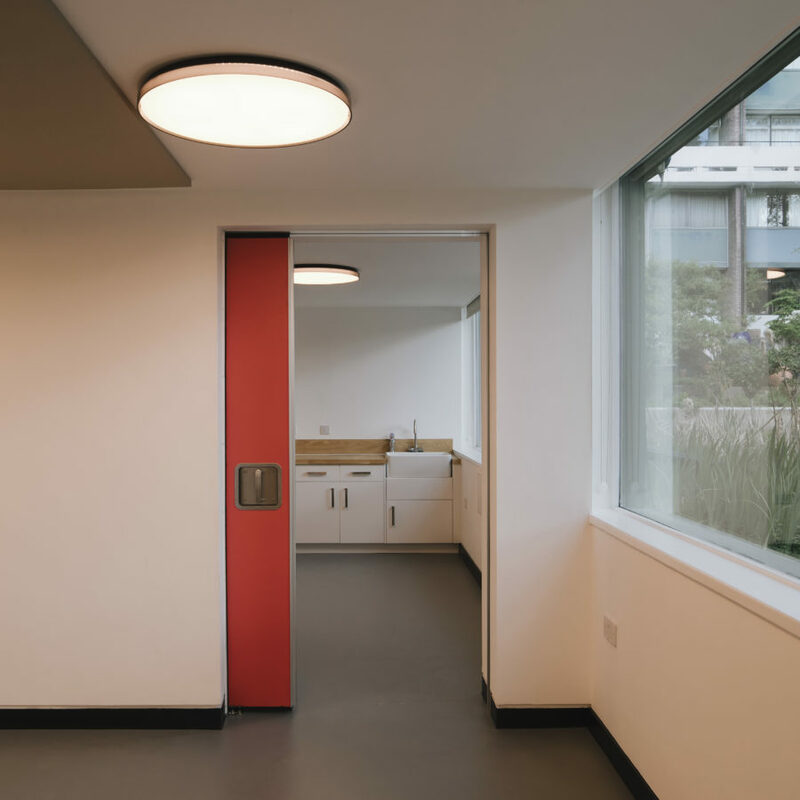 With an appreciation of the quality of Chamberlin, Powell and Bon’s original design, the renovation proposed modest alterations to the internal layout to capitalise on the spaces’ inherent flexibility. Use of colour is key to the aesthetic of the building; serving to define space, echo its history and tie it back to the other buildings on the estate. Much of the original colour scheme has been carefully restored, as well as inspiring the application of new monochromatic colour palettes to define different spaces.